Clerkenwell Design Week 2017 will see Caffia Coffee Group London Showroom at full swing! We’re very pleased to have our central London coffee machines showroom of bean to cup coffee machines and professional espresso coffee machines on the ‘showroom trail’ again this year. Clerkenwell is perhaps the most important design and creative district in the world and the Design Week has become the ‘go-to’ event for thousands of visitors. Caffia Coffee Group is a dynamic family-run coffee business offering a range of commercial coffee machines for offices, cafes and restaurants. The Clean Coffee Project wants to force the European Government to implement a deposit system for single-use coffee capsules made out of a toxic mixture of plastics and aluminium. We can not afford to waste valuable resources, water and energy. As most of the capsules end up in the general trash and only a small amount of them return back into the recycling process, most end up on landfills and finally in the ocean. As the companies do not publish any numbers, the real amount of consumed capsules can not be figured exactly. In 2014 Germany alone consumed between 2 and 3 Billion single-use coffee capsules. That equals 4000 to 5000 tons of plastic and aluminium waste. The industry estimates that Market leader Nespresso sold 8 Billion aluminium capsules in 2013 worldwide. That equals 8 Million kilograms of aluminium waste. The recycled aluminium can not be used for new capsules. Therefore Nespresso always needs primary aluminium. The average capsule contains around 4-6 g of coffee wrapped up with 2 to 3 g of packaging. Not only these capsules are wasting valuable resources during production and afterwards in the recycling process - they can't be recycled easily. 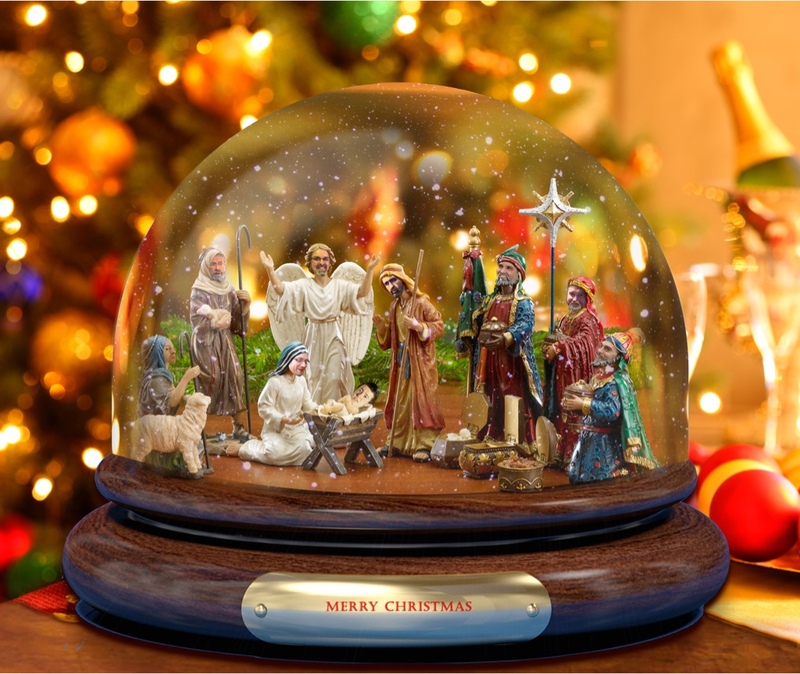 Because they are made out of a mix of materials like plastic, foils, paper and aluminium. Plastic and aluminium are toxic and apart from that there are plenty different systems on how European countries organize, execute and control their recycling system. The companies say that they have a proper working recycling system, but the truth is that they leave it to the customer. The result: most of the used capsules end up in the general trash, on landfills and finally endanger the environment and the ocean. The only solution is a deposit system. Therefore the Clean Coffee Project has created the campaign page www.cleancoffeeproject.org. To sign the petition, to offer information about the problem, to show eco-friendly alternatives. And to invite Companies and NGO`s to join the campaign and become „Supporting Partner“. We are delighted to introduce to you Cloggs Coffee. Cloggs Coffee was founded in 2003 as a small coffee shop in an old converted clog factory in a West Yorkshire town, hence the name! We are a family run business who take pride in the provenance and premium quality of our coffee. We ethically source coffee beans from all over the world and hand roast them to order in small batches in the Calder Valley, Yorkshire. Initially we only roasted coffee for ourselves and a handful of local businesses but over the last couple of years we have branched out and now we are supplying coffee shops, restaurants, hotels and bars across the UK. We also sell our coffee and some great equipment online to the public at https://cloggscoffee.com. Free delivery on all orders over £30.00. Our wholesale customers enjoy free next day delivery with no minimum order requirement and a discounted rate on coffee beans and equipment. 3 action packed hours of hands on experience covering coffee roasting, espresso making, milk steaming, filter brewing & how to make coffee at home like a pro barista £30pp including a free bag of coffee. The South West Coffee Festival is taking place between the 4th-6th August 2017 at Powderham Castle, Exeter. The festival is open as a trade show and consumer show, so whether you're a coffee shop owner interested in networking, or a family looking for a fun day out, there is something for everyone. For trade and baristas, the South West Coffee Festival is bringing together producers and wholesalers that make up and support the thriving third wave coffee scene in the south west. Businesses can register for a free trade pass for the festival and events within, as we are encouraging networking and discovering the stories behind the products and the best kept secrets of the trade. For home brewers and coffee enthusiasts, the festival is a great opportunity to meet new people, perfect your brewing skills, and find new coffees, blends and tricks of the trade. There will be many guest speakers and workshops so you can hear about the latest trends in the third wave industry and stories from small businesses to inspire. Many of the businesses signed up will be offering exclusive show prices so you can try and buy, as well as help you get started on your coffee journey. We've had a fantastic year here at Coffee Forums UK. We have had over 850000 visitors - making 2016 our busiest year ever. I have thoroughly enjoyed meeting many of you personally at both trade events and those coordinated by members, as well as the random meetings at coffeeshops too. Your enthusiasm for visiting the forum drives us to keep the site online as much as possible, and we've delivered that (so far) this year. We have welcomed onboard some fantastic forum sponsors, and would like to thank you for supporting them. Without the support of our sponsors we could not meet the cost of hosting and maintaining the forum, and would not have been able to create the custom theme. Please continue to click the banners and buy from forum sponsors where possible. This year we have also helped launch some products on Kickstarter. The Oomph and Kruve (was Rafino) are now both in production - partly thanks to the support of Coffee Forums UK members. You've bought all but 3 of our limited edition forum t-shirts and all our KeepCups are now given away too. Keep an eye out for new merchandise in the new year. I look forward to interacting with as many members as possible in 2017 and on behalf of the moderating team would like to wish you and your families a very Merry Christmas and a Happy New Year. L-R. garydyke1, The Systemic Kid, MrBoots2u, Glenn, Jesus =(A Young Matt Perger), coffeechap, Urbanbumpkin, Xpenno, Jeebsy. CoLab: returns this November 28-30 with a brand-new format set to engage attendees with the speakers and the local community – the most interactive CoLab yet! The main day of CoLab: Barcelona, held on 29 November at Cooccio, will include talks by three voices of our industry who will lead attendees through three hands-on workshops. With a translator on hand, the event will be inclusive to both the local and international community. Two half days of CoLab fringe events will put the local community in the spotlight. After their morning talks, each speaker will lead an afternoon workshop building on their topic. Attendees can get up close and personal with the speakers whilst they develop new skills in tasting and service with Francis & Ger, or acquire knowledge on life as a producer from Kim Elena. CoLab: Barcelona puts the local community at the heart of the event. The event will start with a look at a related industry: Blanxart Chocolate Factory opens its doors for a tour and presentation on the delights of cocoa and chocolate production. At the end of the main day, local baristas and cafe owners Jordi Mestre (Nomad), Elisabet Sereno (True Artisan Cafe), Miguel Lamora (Atman’s Coffee), and Salvador Sans (Cafés El Magnífico) will discuss ‘What’s Unique About Coffee In Spain?’ in an engaging panel, moderated by Stephen Morrissey. The event will close on Nov 30 with a range of activities for CoLab'ers to delve into the local coffee scene through tours, roastery visits and cuppings! The coffee scene in Barcelona is thriving – the balmy November weather, awesome architecture and booming coffee vibes all help to make CoLab: Barcelona a fantastic, don’t-miss event.Tickets are available via the BGE website, and include access to all of the programmed events, lunch and refreshments on the main day. We're super excited to announce that Super Early Bird tickets for The Amsterdam Coffee Festival 2017 are now on sale! Join 12,500 people at the Westergasfabriek, 10-12 March 2017 for the Benelux's greatest celebration of coffee, food, music and art. Expect unlimited tastings, demonstrations from world-class baristas, interactive workshops, live music, DJs, caffeinated cocktails, art exhibitions and so much more. Click here to buy your Super Early Bird Ticket now. Launching at ACF17 is Coffee Mixologists, a brand new competition that fuses the obsessive attention to detail of the world of coffee with the boundless creativity of the cocktail scene. Click here to find out more and for details on how to apply. We're super excited to announce that Super Early Bird tickets for The London Coffee Festival 2017 are now on sale! Join 35,000 people at The Old Truman Brewery, 6-9 April 2017 for the world's greatest celebration of coffee, food, music, art, fashion and design. 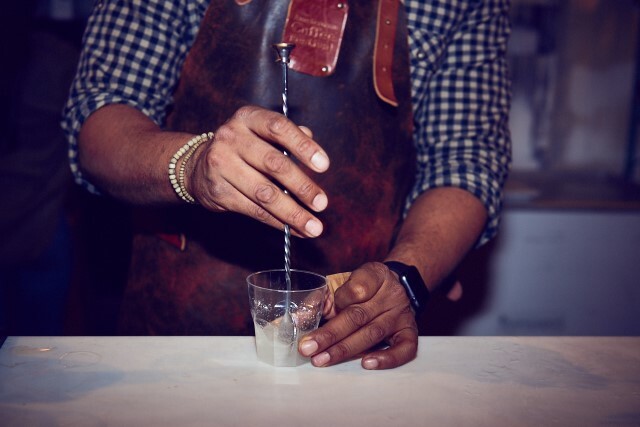 Expect unlimited tastings, demonstrations from world-class baristas, interactive workshops, live music, DJs, caffeinated cocktails, art exhibitions and so much more.